Want to get paid for the excess solar electricity you produce? You Can - With Net Metering! Net metering is one of the best renewable energy incentives available to homeowners. 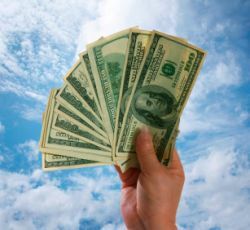 Simply put, it is an agreement between you and the utility company that allows you to sell any excess solar electricity you generate back to the utility company. This is accomplished with a bi-directional electric meter. 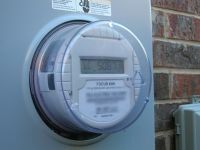 When you are using electricity from the grid, your electric meter spins forward. When you are providing electricity to the grid, your electric meter spins backwards. What this means is that you are essentially selling your excess solar power to the utility company at market rates! Now that's a great solar power incentive. 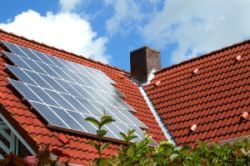 Net metering allows homeowners to utilize their solar power systems 100% of the time. Your photovoltaic solar power system is generating solar power electricity anytime the sun is shining. But you need to either store or use the electricity right away. You could use a battery bank to store the electricity, but that's very expensive. A simple and inexpensive way to "store" this excess power is with a grid-tied PV system that uses net metering. With net metering, you can think of the grid as a bank account. Anytime you use electricity from the grid, you are taking electricity from your account. When you provide electricity to the grid you are adding electricity to your account. At the end of the period, you will only pay for the "net" amount of electricity you used. 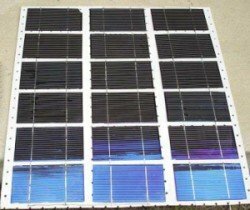 This allows you to utilize your PV solar power system 100% of the time! Plus, if your system isn't providing enough power, you can use power from the grid. You can find out if net metering is available in your area by searching the Database of State Incentives for Renewables and Efficiency (DSIRE). DSIRE provides free information about renewable energy and energy efficiency incentives administered by federal and state agencies, utilities, and local organizations.